Dr Nicole provides comprehensive expert treatments for your skin conditions including with the Acne & Spots specialist treatment programme. Look fresher with natural-looking results. Complete facial rejuvenation with the full range of anti-ageing treatments & expertise. Dermatologist with a special interest in Hair Disorders. Diagnosis and early treatments by Dr Nicole, Consultant Dermatologist with a special interest in Hair Disorders. A range of medical and injection treatments (including Platelet-Rich-Plasma (PRP)) available. Silhouette Soft® Threadlifts for a re-tightening effect without invasive surgery. Natural looking results with gradual improvement over time. 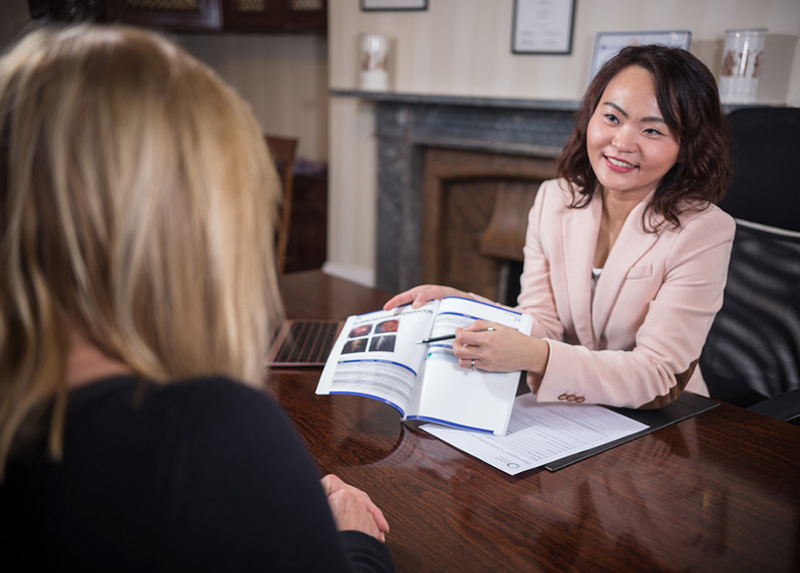 Dr Nicole Chiang is a UK-trained Consultant Dermatologist who has completed Specialist Training in cosmetic, medical and surgical dermatology. Her personalised approach puts you first, and she aims to provide honest, comprehensive and professional answers to your skin and cosmetic problems. Treatments are based on your individual needs and aim to deliver the results you want to achieve. Dr Nicole is trained in dermatological surgery, cryotherapy and dermatoscopy. She provides a wide range of skin surgery services including full skin checks (with dermatoscopy of moles), surgical excision of moles and other skin lesions. Dr Nicole’s principle in skin surgery is to use the best techniques to improve healing and achieve the best cosmetic results. Feel rejuvenated with the full range of cosmetic treatments provided by Dr Nicole. Treatments available include anti-wrinkle injections, dermal fillers to reduce the signs of ageing and enhance your natural features, chemical peels for pigmentation and to smoothen your skin, lasers, radiofrequency (RF) treatments and micro-needling for skin tightening, scars and stretch marks. Private dermatology consultations are available for skin conditions, rashes and skin lesions. Dr Nicole provides clinically-proven, evidence-based specialist dermatology treatments for skin conditions including acne, rosacea, eczema, psoriasis, pigmentary disorders and many others. Dr Nicole has a strong commitment to putting your needs first. It is at the heart of everything she does – from in-depth consultations right through to comprehensive aftercare. She provides specialist opinions and tailors your treatment based on your individual needs. Dr Nicole is a Consultant Dermatologist with specialist training in both skin and aesthetics from the UK, USA and Australia. The first step to successful treatment of your skin or aesthetic concern is to get a full consultation from a skin expert in the field. With Dr Nicole’s experience, you get the benefit of a combined cosmetic, medical and surgical assessment of your problem. Personal, professional and transparent – it is an expert approach that delivers results.